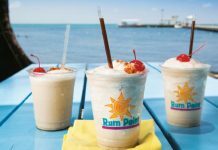 Cayman’s cottage industries and craft productions are flourishing. 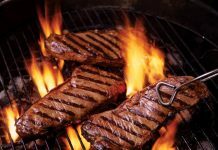 Flava introduces four local food and drink artisans who have perfected traditional methods, transforming a few simple, natural ingredients into taste sensations. 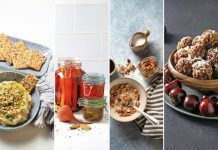 A self-confessed obsessive about all things fermented, Britta has been brewing Kombucha, a popular fermented tea, and producing jars of sauerkraut and kimchi for years. 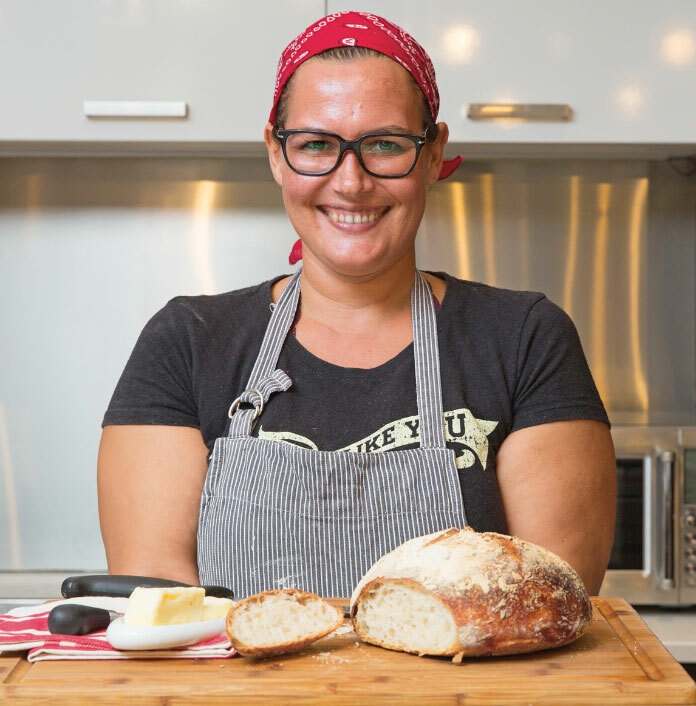 She turned her hand to sourdough in 2017 and this has already become a thriving arm of her growing food business. 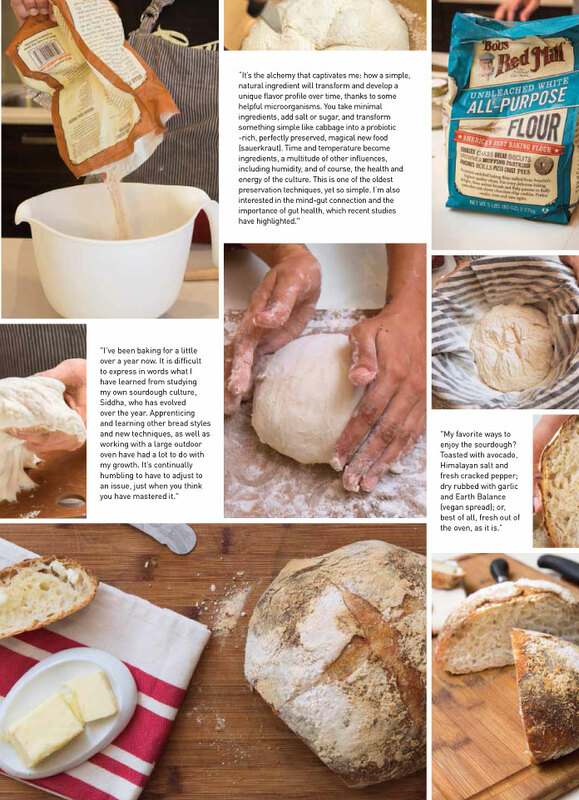 After sourcing the original ‘mother’ starter from a baker in Oregon and pouring over baking bible “Flour, Salt, Water, Yeast” by Ken Forkish, she began experimenting. The oldest known form of leavened bread, traceable back to ancient Egypt, a basic sourdough recipe calls for only two ingredients – flour and water – which ferment into an ecosystem of wild yeasts and friendly lactic acid bacteria (the latter is what gives the bread its distinctive sour flavor and bubbles). Simple, yes, but certainly not speedy: the dough takes two or three days to be mixed, shaped and baked. Meanwhile, the living starter must be fed daily, rather like a pet, with flour and spring water. 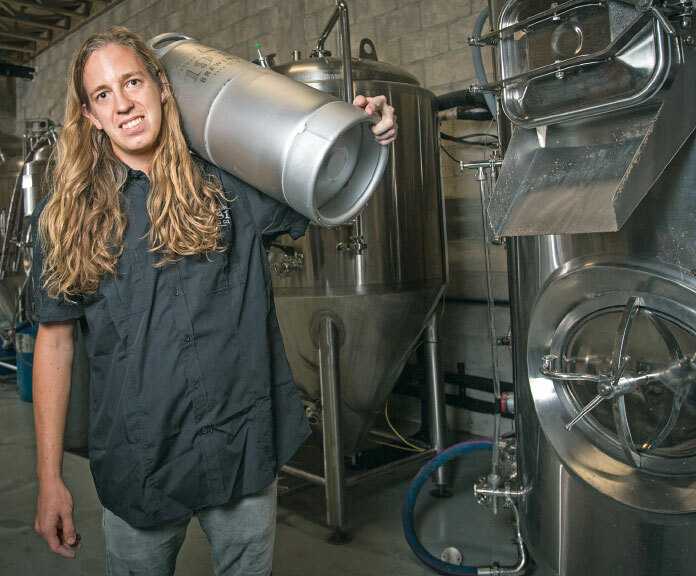 At just 26 years old, Jordan is at the helm of Cayman’s new craft brewery, 19-81. His path to becoming a Master Brewer didn’t have the most obvious start, though. He was a pre-med student at Bishop’s University in Canada with aspirations of joining Doctors Without Borders, when he realized that craft beer presented exciting and creative way to apply his interest in chemistry. 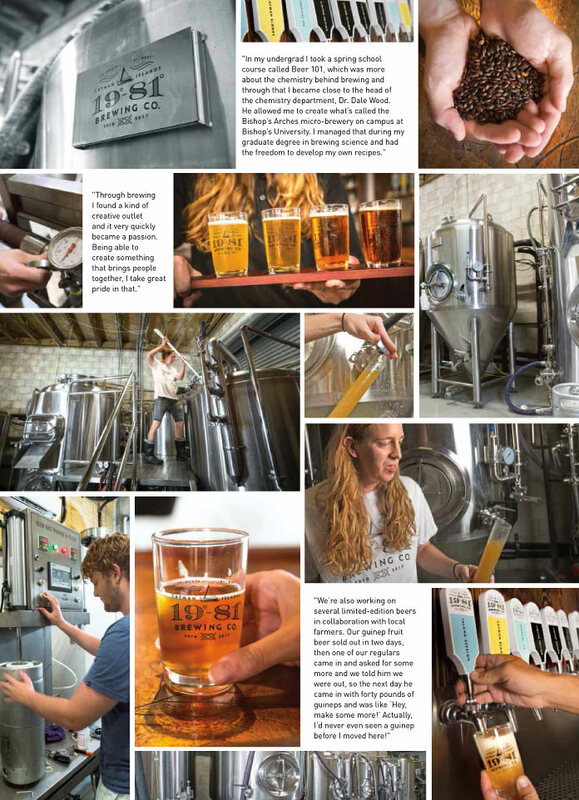 Relocating from New Brunswick to Cayman’s sunnier climes, Jordan is hoping to help cultivate an innovative craft beer culture on-island. With 19-81’s signature line of craft beers launching in spring 2018, the Dorcy Drive micro-brewery has quickly become a hive of activity. Pints and tastings flights are poured out in the wood-paneled Tap Room in the afternoons. Behind that lies a storeroom filled with sacks of grain and exotic fruits, and a cavernous space where gleaming stainless silver equipment whir and hiss, the heavy smell of hops in the air. 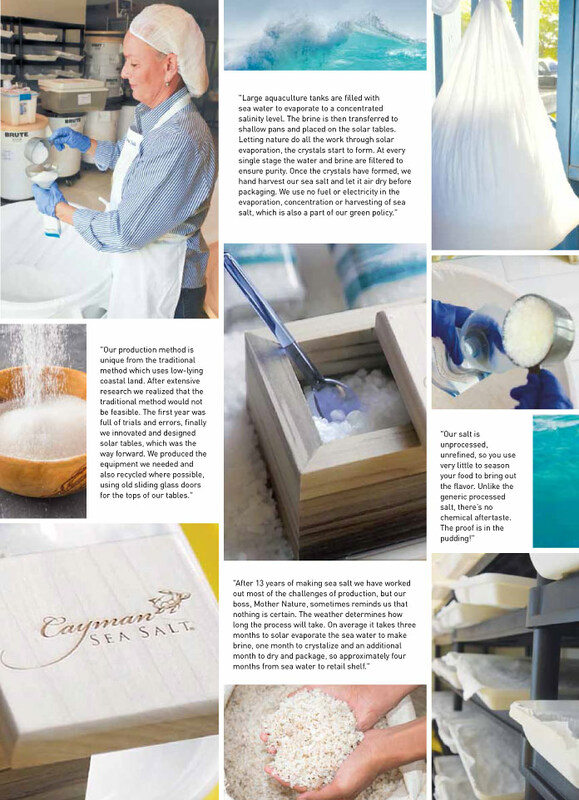 Clean coastal waters and sunshine – two things the Cayman Islands have in abundance – are essentially all that’s needed to produce natural sea salt. Few ingredients offer such an elemental expression of a place as salt, and it’s also a symbol of hospitality, with some cultures presenting a block of salt (along with a loaf of bread) as a traditional welcome to visitors. 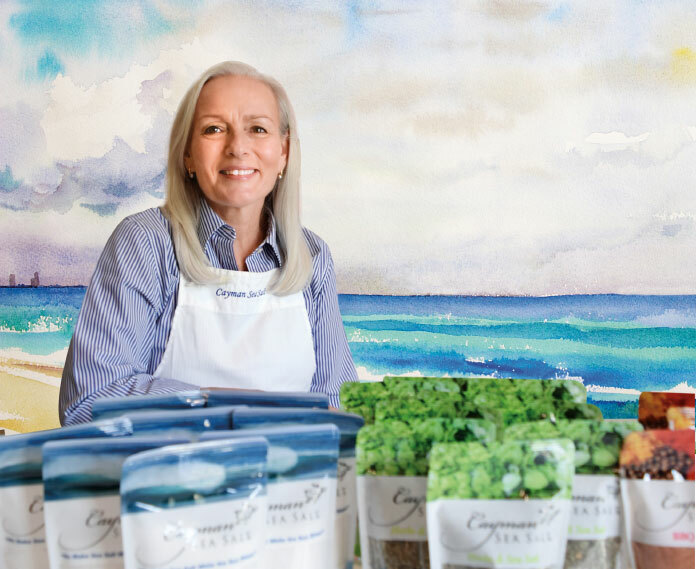 The idea of harvesting salt in Grand Cayman was planted when Monique and her husband were walking at Pedro not long after Hurricane Ivan and noticed salt crystals had naturally formed in rock pools on the ironshore. Located in Breakers, theirs is the only artisanal sea salt farm in the Caribbean. 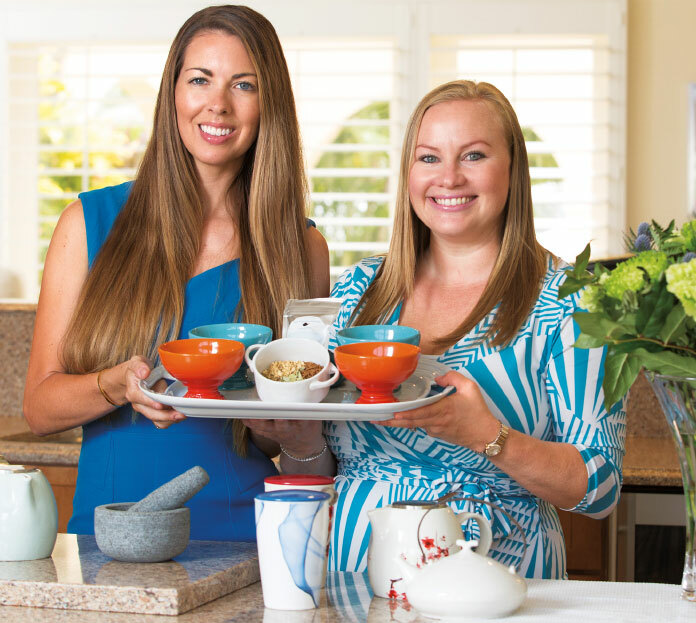 Seven years ago, a pair of young accountants decided to branch out into a cottage industry founded on their mutual love of tea. 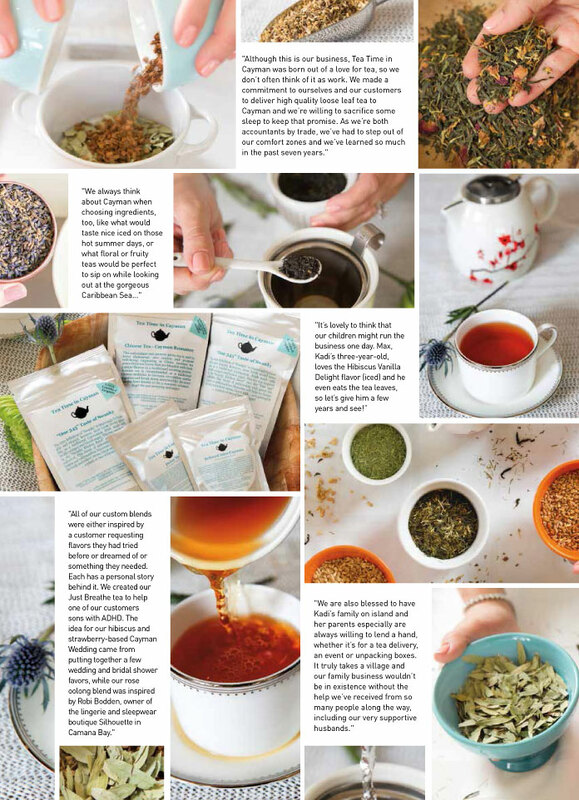 Tea Time has since blossomed into range of 32 all-natural, loose leaf teas stocked by the island’s major grocery stores. They juggle the brand alongside motherhood and ‘day’ jobs as a director at PWC (Kelli) and working for a number of family businesses (Kadi). Sifting carefully through packets of rose petals, dried berries or vanilla beans, the duo blends their custom flavors – which range from chai to English Breakfast, Rooibos to Yerba – out of Kadi’s parents’ house in George Town.